The Joola table tennis robot Buddy V300 is the improved version of the innovative Joola table tennis robot Buddy Pro. The compact TT robot Buddy V300 is very easy to assemble and only weighs about 1 kg. Furthermore, the Joola table tennis robot Buddy V300 is equipped with an oscillator, so that different points on the table tennis board can be played and the workout gets much more dynamic. One of the smallest table tennis robots of the world ! Easiest use and multi-functionality are the keywords of the new Joola table tennis robot Shorty. 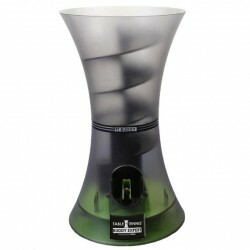 Variable speeds, eight different rotation forms, trajectory variations, and oscillation possibilities offer a multitude of training and use possibilities. Net, remote control, big ball box, and easy dis/assembly make the Joola table tennis robot Shorty an essential part of each workout. 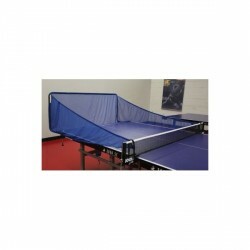 Affordable, practical ball catch net for the Joola table tennis robot TT Buddy. The top model of the TTmatic table tennis robots. The clever and user-friendly 5-channel-digital steering and the advanced double-head-system offer training perspectives which inspire table tennis pros. The new dimension of robot training! The Joola TT-Buddy is a small but adequate table tennis robot at an affordable price with an innovative and modern design. Variable ball throw frequencies, three different kinds of spin and an easy dis/assembly make the Joola TT-Robot Buddy an essential part of each workout. The top model of the TTmatic table tennis robots. The clever, user-friendly 5-channel-digital steering and the advanced double-head-system offer training perspectives that inspire the table tennis pro. The new dimension of robot training! The Joola TT Buddy Topspin is a table tennis robot throwing out top spin balls. Up to 100 balls can be stored in the ball case. The Joola TT Buddy Topspin runs on batteries. The Joola tt robot Buddy Expert is an optimal training partner for beginners and leisure players. The ball case of the table tennis robot includes 20 balls, which are thrown out mechanically at a constant frequency. Very happy with this robot. It seems to do everything I need it to do so far, though I am still finding out all of its capabilities. I am not sure why I would have paid twice or even three times as much for a different robot, as they could not have performed any better than Shorty. The only possible criticism is that there could have been a better instruction manual included. I was pleasantly surprised by this net. On the web the net did not look high enough to catch the balls, but actually it is. If you don't hit the net it really has been a bad shot. No 5 stars because mine had a manufacturing weakness that meant that one of the seams rapidly unwound. This was rapidly fixed with a bit of sewing. A bit fiddly to get set up, but once set is fine. Net could be slightly higher to catch all of the missed returns ! Easy to empty when in place. 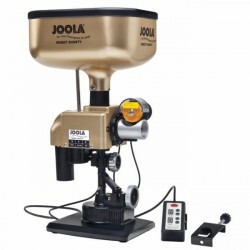 A useful addition to the Joola TT Buddy Pro setup, as picking up all those balls is a pain !! The net is a little fiddly to assemble and the instructions are not particularly clear but, after the first time, the process is a bit quicker. With the clamps at the edge of the table I found the net rather tight and balls would hit it and fly over the edge. But it generally does what it's supposed to and, being cheaper than others, must be considered good value. Exercise especially the shot technique with the table tennis robot. Regular workouts are important to improve - for table tennis as well. A table tennis robot can be a big support when there is no training partner. Exercise your shot technique independent of time with a table tennis robot. Either beginner, leisure sportsman or pro - special exercises for basic shots, etc. with a table tennis robot independent of your performance level. Coordination, reaction, and even fitness are improved while exercising with a table tennis robot. Most different shot varieties can be exercised by a great selection of adjustments of a table tennis ball machine. The tt robot may not replace a human opponent but effects positively the completion and success of your workout. How does a table tennis ball machine work ? Functionality of a table tennis robot is quite easy. It can be compared to the one of a ball machine for tennis. Table tennis ball machine stands on the opposite side of the table tennis board - like an opponent. There are also smaller models which can be mounted on a board. 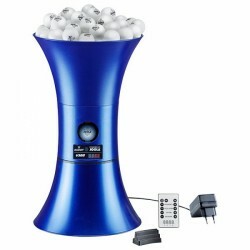 The table tennis ball machine has a ball case, which can contain up to 200 balls. According to the model and your chosen settings, the table tennis robot shoots balls in different trajectory curves over the net. You play back the balls and exercise your shot technique. Some table tennis robots are equipped with a so called round-catch-net, which is mounted on the table tennis board. This returns the parried balls to the table tennis ball machine. Therefore, balls are less often refilled in the case and longer workout intervals are possible. What are the functions of a table tennis robot ? Table tennis ball machines have been on the market since about three decades. In the last 30 years, more progress has been done in the development of new equipment. Table tennis robots can imitate almost all human shot techniques. Upper and under cut or top spin of absolutely natural trajectory are easy, in general. Many table tennis robots offer the additional possibility of a scattering angle and variation of shot interval. Some equipment can play up to 100 balls a minute.